The one-day annual celebration welcomed over 150 attendees. City, University of London hosted World Information Architecture Day, London on Saturday 18th February 2017. It was a one-day, annual celebration focused on the practice and education of Information Architecture. Over 150 attendees attended, including City students and staff and those from organisations including the Government Digital Service, Cubic Transportation Systems and eBay. 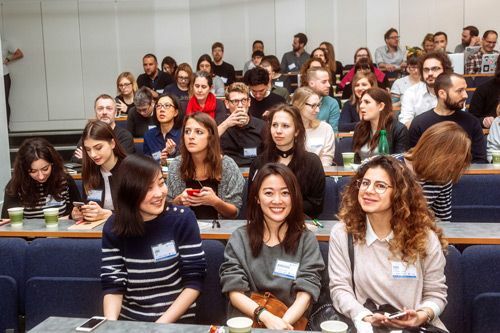 The conference was organised by City's Dr Stephann Makri, a Senior Lecturer in Information Architecture, Mike Atherton (Content Strategist, Facebook), Johanna Kollmann (Head of Product, Snuyk) and Joe Dollar-Smirnov (CXO, Red Badger). It was supported by an enthusiastic team of 15 student volunteers from City's MSc in Human-Computer Interaction Design one of the only Human-Computer Interaction Masters courses to include a module on Information Architecture. The day incorporated thought-provoking talks by distinguished Information Architects including Nick Marsh, Lostmyname and Gules Colborne, cxpartners. It also featured an afternoon of practical workshops run by the BBC, Springer Nature and Modern Human. There was also a workshop on 'Architecting Serendipity: Designing for Discovery and Discoverability' run by Dr Makri, from City's Centre for Human-Computer Interaction Design. "Information Architecture is about designing the structures of digital information environments, such as Websites, intranets and mobile apps so that people can easily find their way around them, and find the information they need. City is proud to fly the flag for Information Architecture - a vibrant person-focused discpline that has established a friendly, supportive community across academia and industry in London. 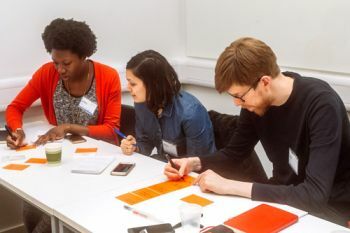 As one of the only universities worldwide to teach IA as part of our MSc in Human-Computer Interaction Design, we recognise the value of helping people find the information they need, easily."